Shumaker - Joelle Delbourgo Associates, Inc.
Heather Shumaker is versatile author who writes for both children and adults. Her newest book The Griffins of Castle Cary is charming and slightly spooky read for middle grade readers, ages 8-12 (Simon & Schuster Books for Young Readers, March 2019). The story features three adventurous siblings, a ginormous, drooly Newfoundland dog, and a bit of a ghost problem. In the parenting and education realm, Heather has two unconventional “renegade parenting” books that question conventional practices. 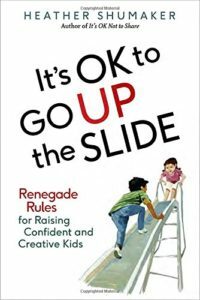 With It’s OK Not to Share (Tarcher Penguin, 2012) and It’s OK to Go Up the Slide (Tarcher Penguin RandomHouse, 2016), Heather promotes play, conflict mediation skills and no homework for young children. Her books have won awards (Nautilus Silver Award, Books for a Better Life finalist) and been translated into multiple languages. 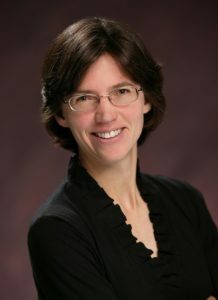 Heather is also the author of Saving Arcadia (Wayne State Univ. Press, 2017), a narrative nonfiction book focused on the Great Lakes that’s been described as a “page-turning environmental action thriller.” Heather is a nationally known speaker, and loves sharing her joy of writing and unconventional wisdom with audiences everywhere. She lives in northern Michigan with her family. To learn more, go to heathershumaker.com, or follow Heather’s blog Starlighting Mama, podcast Renegade Rules, or author Facebook page Heather Shumaker Writer.